Brazil, the fifth-largest country in the world, home of the Amazon River, Carnaval, Copacabana Beach and the Girl from Ipanema, conjures up many images, and now add to that imagery… beer! The craft beer scene in this exotic country has been blossoming in recent years as well as its interest and demand for imported beers from places such as the United States, Belgium and Germany. You also may be surprised to learn Brazil is the third-largest beer producer and consumer in the world, just behind China and the United States. For decades the influence was German brewing, but now more than ever the influence has been American craft brewers and Belgium. Combine that with brewers using, in some cases, exotic fruit and aromatic wood from the Amazon in their brewing and the results are eventful and unique. Like no place else in the world. Take a moment to read this informative article on the Brazilian beer scene by Paste Magazine. 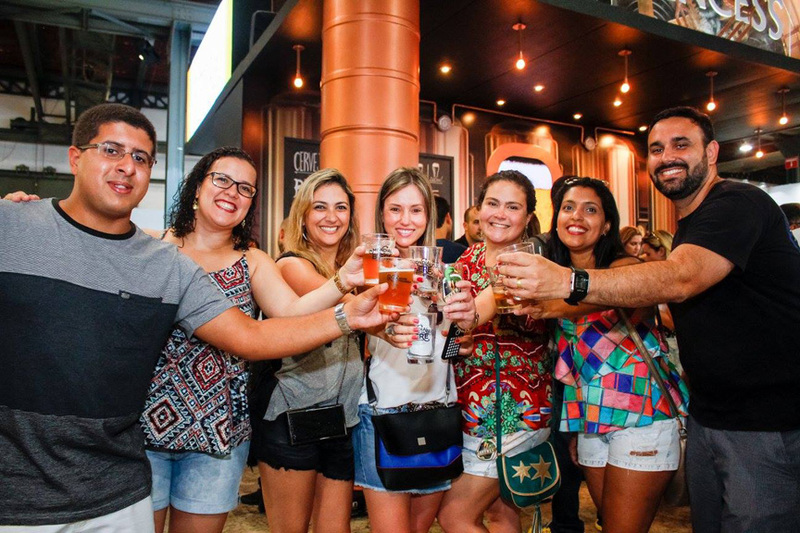 This tour will explore the thriving Brazilian craft beer scene and as its center piece, and featuring for two days, the famous Mondial de la Biére Rio International Beer Festival, which showcases the best of Brazilian beers and select beers from around the globe. This next edition of the Rio Festival is a great way to enjoy a wide variety of beer efficiently by having the brewers come to us in one convenient location. Here’s Tony Forder’s account of the Festival in Ale Street News. Also be sure to read this article from the Rio Times on the Festival, to give you even more of a feel for what to expect. Brazil is such an enormous country, to fly or drive all around it to take in its many breweries would be daunting and require months. This is the perfect time to visit Brazil for beer lovers. It’s also the perfect time for weather as North America begins to cool down for the winter and Brazil is coming into spring with warm and pleasant weather, but not too hot. This tour will include your hotels, most of your meals and all of your beer during brewery and taproom visits, company meals and two full days at the Mondial Beer Festival. 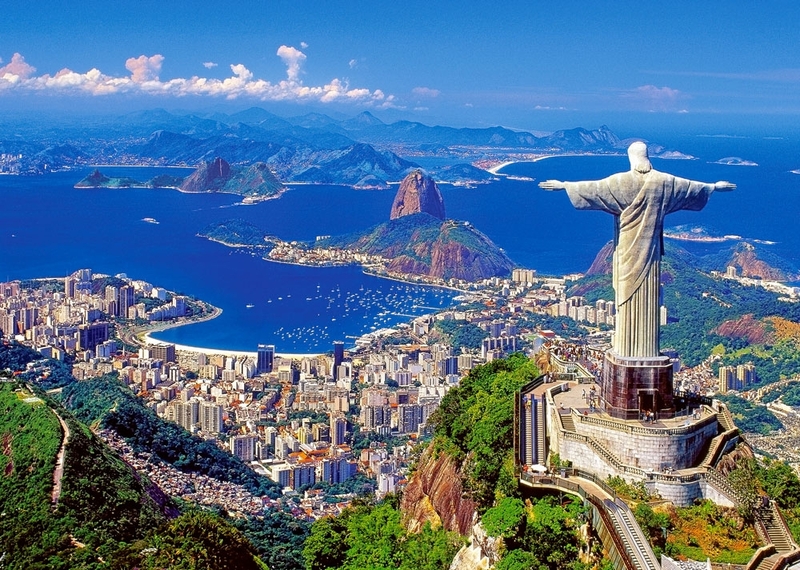 We’ll also do some sightseeing, get to know Brazil and some of its most popular attractions, hearty cuisine, sights and culture. You’ll walk away with a better understanding and appreciation for this fascinating country, its people and warm hospitality. Rio is considered one of the most breathtaking cities in the world with epic mountain-top views that give you a good feel for the scale of this vibrant city of more than 6 million people. Some of the sights we plan to visit are the statue of the “Girl From Ipanema” composer Antonio Carlos “Tom” Jobin, located on the world-famous Ipanema Beach, Sugarloaf (mountain reached by cable car) with its magnificent views of the city and beaches, and Corcovado Mountain (reached by train) with the giant Christ Redeemer statue that watches out over the city. You know this mountain and statue as it is often the first establishing aerial shot of any movie or sporting event set in Rio. One of the keys to a successful tour is unstructured time to to explore, relax, sleep in, shop, eat, drink or just pull up in a sidewalk beach patio and people watch. We’ll make sure you have plenty of free time, too. You shouldn’t need a vacation from your vacation. BBM! is teaming with Tony Forder, Editor and Publisher, of Ales Street News (ASN) for this special tour, combining talent, resources and inside contacts to provide the best, most exciting and fun beer tour experience available. Tony, who is also a U.S. Beer Ambassador for Mondial, will be the host of the tour. Stu Stuart, of BBM! will be the tour producer and tour leader. With more than 25 years in publishing, Ale Street News has been a recognized leader in the industry, promoting the appreciation of the finest beers in the world. You can sign up now on this page, up and to the right, where it says "Select Tour" or by clicking on Let's Go! We hope you’ll join us on this Ale Street News Beer Tour of Brazil and this exciting beer frontier! Six nights accommodations in nice, friendly, centrally-located hotels. Four nights in Rio on or near the beach and two nights in historic Petrópolis in the mountains north of the city of Rio. All breakfasts, two lunches and three dinners, aka company meals. Beer and other beverages are included in company meals, the Festival and brewery tours and taprooms listed on the itinerary. Ground transportation, excluding airport transfers. 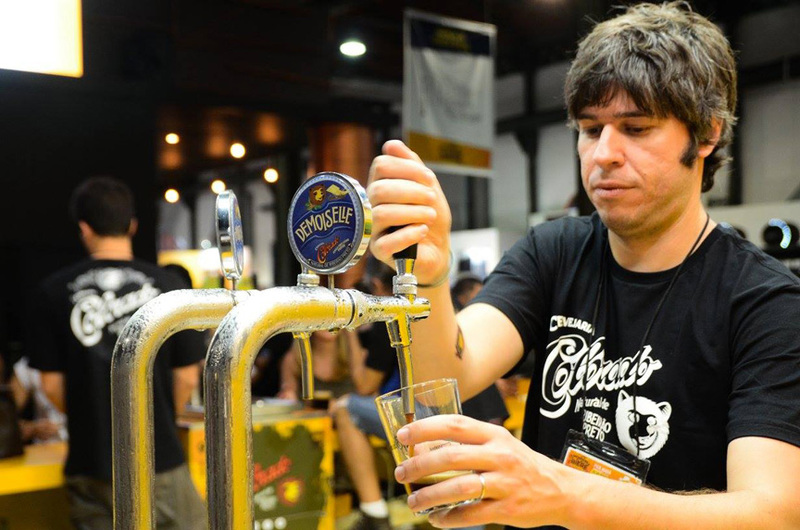 Two days, with beer, at the famous Mondial de la Biére International Beer Festival in Rio. Beer during brewery tours, taproom visits and company meals as listed on the itinerary. Ground transportation via private luxury coach with professional driver. Leave the driving to us! Professional and courteous BBM! guide services by Stu Stuart. All tours and admissions, including sightseeing on the itinerary. Custom name badges, facilitating travelers getting to know each other quicker and easier, and coming together as a group. It takes the pressure and stress off of trying to remember names. Visa to Brazil. $160 Brazilian Consulate fee. $69 Agent fee to process visa with Consulate. Total: $229. BBM! will direct travelers to the agency, who has agreed to waive their optional $45 document pre-check fee to our group. Document pre-check makes sure you have everything in order (application, photos, passport, air ticket, etc.) and correct before you mail it in for processing. This can save travelers many very real potential administrative problems. Airfare to and from Rio International Airport (GIG). Formal name of airport is Antonio Carlos Jobim, aka, Galeao. Hotel prior to beginning of the tour. Travelers are encouraged to arrive into Rio two days prior to the tour to allow for travel delays and to adjust to the time change. Use Booking.com for easy booking of hotels. Airport transfers. Regular airport buses run to hotels, including the popular Copacabana beach district. Taxis are also available. Some meals and beer on your own. Free-time sightseeing. Your tour leader is available to provide suggestions. There shall be a minimum of 15 paid travelers required to confirm the tour. Deadline to meet this minimum will be July 15. Deadline to sign up for the tour is Aug. 31. (It can take up to six weeks for a non-rush visa). Travelers must purchase their air ticket prior to applying for their visas. Please share BBM! tours with fellow beer enthusiasts, your friends in general, and encourage them to join the fun! Tour begins at 12:30 p.m. in the lobby of our meeting hotel in Rio. Short meet & greet, then depart for the Imperial city of Petrópolis for two nights. Visit two breweries on the Brewery Road. Morning free in Petrópolis to explore Imperial Museum of History, the Crystal Palace, the Quintadinha Place and Cathedral de Sao Pedro de Alscantra. Visit at least two breweries. Corcovado Mountain (reached by train) with the giant Christ Redeemer statue that watches out over the city. You know this mountain and statue as it is often the first establishing aerial shot of any movie or sporting event set in Rio. Sugarloaf (mountain reached by cable car) with its magnificent views of the city and its many famous beaches, such as Copacabana, Ipanema and Leblon. Optional day of group programmed events, or a free day to explore on your own. This is a great time to go back and spend more time at places you may have seen earlier. Or, just make it a day at the beach! Breakfast concludes this grand tour. Frequent airport buses run from the hotel to Rio International Airport, approximately 15 miles away.